Without a doubt, the Art Institute of Chicago is one of my favorite museums in Chicago. I have been visiting the museum for many years, and it never gets old. Not only does the museum have many renowned artists and pieces on display, but it also has an extensive Asian collection. The Modern Wing, the newest addition to the Art Institute, was designed by Renzo Piano and opened in 2009. The Modern Wing is very striking and, as someone who gravitates toward modern architecture, is my favorite part of the museum. I am always finding exhibitions I am looking forward to seeing at the Art Institute. 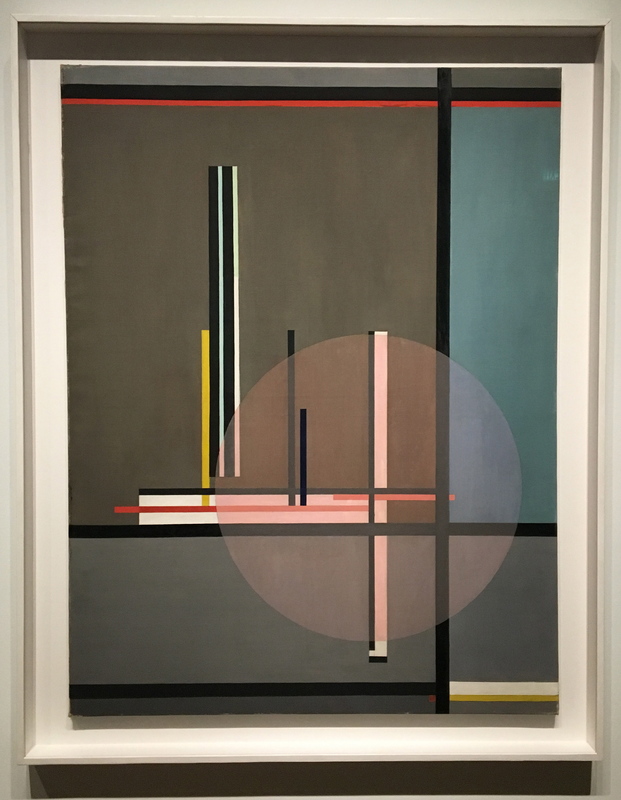 “Moholy-Nagy: Future Present” opened at the museum in October and was at the top of my list of exhibitions to see while home in the Chicago area during my winter break. I had previously seen the exhibition at the Guggenheim in New York this past summer, but I was very eager to see how it would be presented in a different space. As I was about to exit the exhibition, I heard one visitor say something that really seemed to sum up one aspect of Moholy-Nagy: “Man, this guy did everything,”the visitor said. I laughed, but it it definitely one way of putting it. Lásló Moholy-Nagy worked in the areas of photography, advertising, painting and film. The abstract ideas and ties to current culture are seen throughout the exhibition, but there is a substantial range of works on display–indeed very impressive and it almost does seem like there is nothing this artist could not conquer. Some of the works that particularly stood out to me were the photomontages and the photograms. “Behind the Back of the Gods,” one of Maholy-Nagy’s photomontages from 1928. Here is a nice video about Moholy-Nagy’s photomontages created by the Guggenheim. It does a great job describing the detail of the process and how it differs from everyday photography. Moholy-Nagy also did a number of works made of Plexiglass- my mother who was visiting the museum with me seemed to really like these as she was eagerly snapping photos of them. It was interesting to see both how his work evolved based on what was taking place at the time, but also how shape and geometry seemed to be always influential in his work. The Art Institute of Chicago is obviously a very different space than the Guggenheim. I was expecting to be disappointed after having seen the exhibition already in a very unique space, but I was very impressed with the exhibition layout and the way the gallery seemed to have transformed. As you get a glimpse of in the above image, the Art Institute created smaller rooms within the larger gallery space and grouped the artwork by medium or technique. I had seen other exhibitions in this gallery space, and this looked to be one of the most innovative set-ups I had seen there. This exhibition definitely impressed me, and seeing it in a second and new space definitely increased my appreciation for the artwork itself. Image at top of post titled LIS.